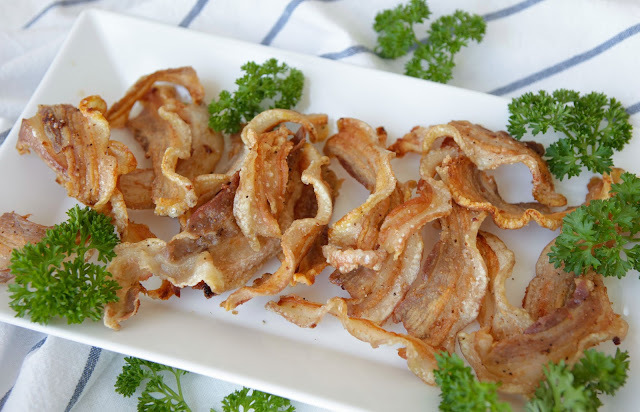 If you love crackling you’re going to love this quick simple bacon recipe, it really is the best home made bacon. Best tasting and best ingredients. Just pork belly, salt, pepper and about 20 minutes under the grill. No sugar, no nitrates, no preservatives, no msg and no curing required. 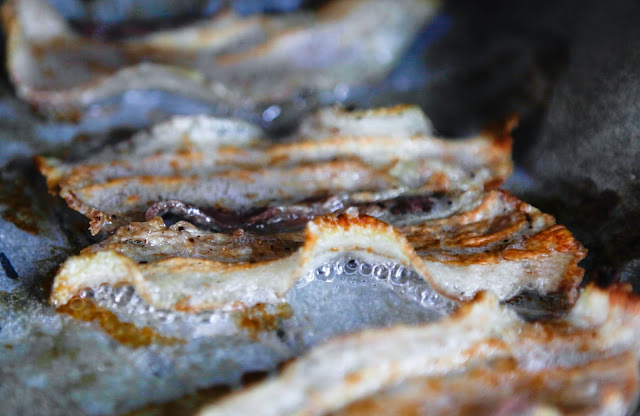 Crispy and salty with a little crackling on each piece! 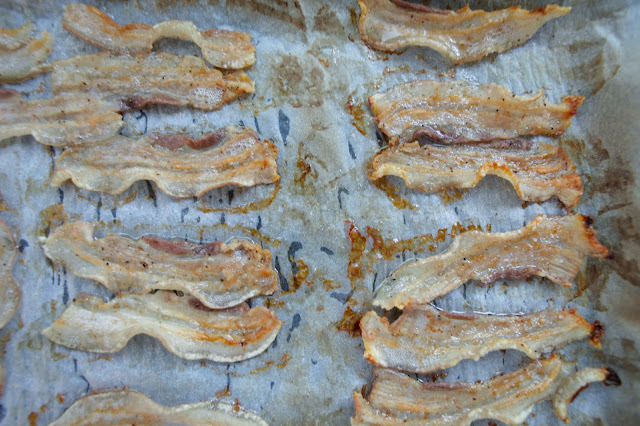 My children’s friends all go home raving about this bacon to their parents and I have had so many questions on how to make it. Their close friends even have a code word to check in if they have bacon for lunch that day with ‘do you have any broccoli?’ to avoid the whole gang swarming over the bacon. 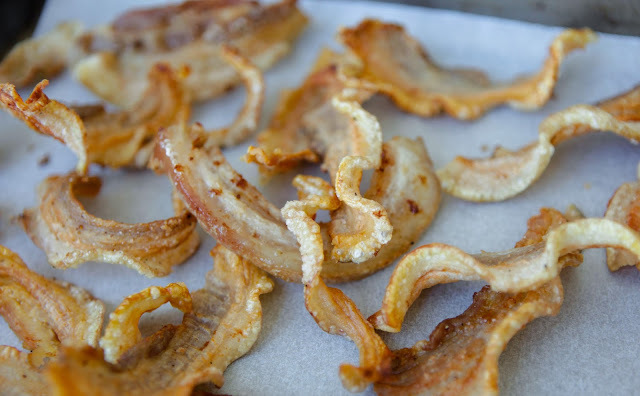 check out that thin crispy crackling on each piece! 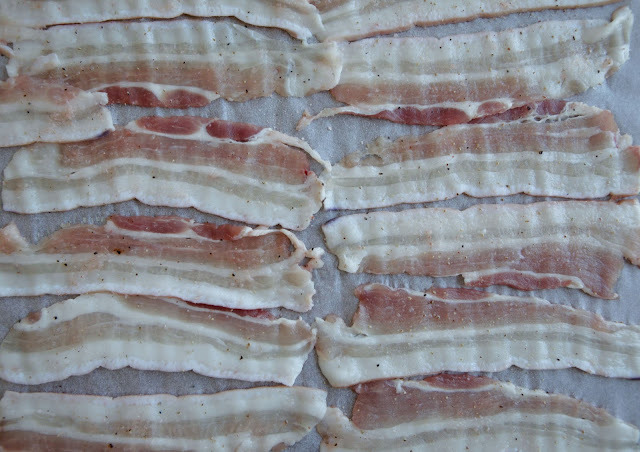 You will need to get your butcher to thinly slice a pork belly with the skin on, try and use organic free range pork if you can as most of the chemicals are stored in the fat and the fat and skin is what makes this bacon so tasty! Your butcher will have to freeze it first in order to slice it thin enough (about 2mm) so book a day ahead. I usually order about 2 kgs separated into packs of 4, then keep it stored in the freezer and defrost overnight in the fridge when needed. It’s convenient without the need for any preservatives. Great for breakfasts, you can cook extra and bring it to work or school. This is 7 minutes in my oven, the bacon on the right are ready to turn, they will brown further. 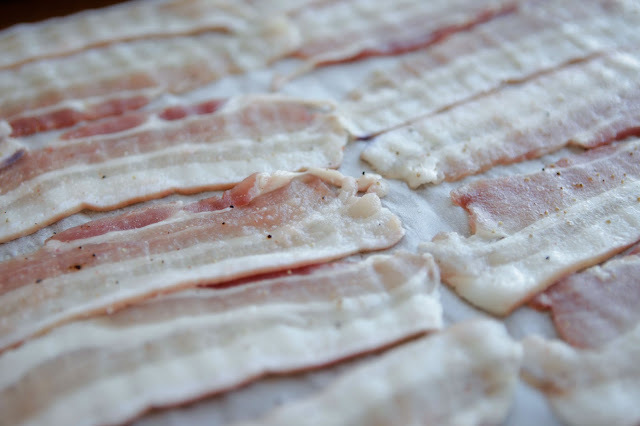 This bacon is amazing! I can’t believe it can get so much crunch from grilling!